Sony has unveiled a "life logging" software that charts a person's activities on an interactive timeline. It records when a user speaks to friends, receives emails, watches a movie and other smartphone actions. In addition the Android app receives data from a new, small piece of wearable hardware called the Core that acts as an activity tracker. The software then uses this information to try and determine if the user was walking, resting or in a vehicle. It is likely to raise privacy issues coming so soon after revelations about how spy agencies have forced tech companies to hand over information stored about their users. However, the Japanese firm attempted to play down the issue. Sony treats the security and privacy of our users' personal data with the utmost stringency and integrity, adhering to legalities and ensuring it remains protected under appropriate technological procedures. "Upon first sign-in to Lifelog app, we make it clear absolutely clear what data users are submitting, how it is being used and provide them with option of opting in or out before proceeding." Sony did, however, acknowledge that younger users were more likely to be willing to let their activities be logged with the service than older ones. The announcement was made at the Consumer Electronics Show in Las Vegas. 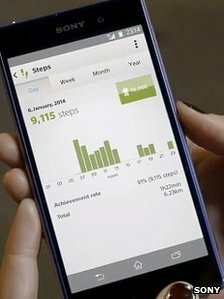 Lifelog is Sony's take on what is termed "the quantified self" - the ability to better understand and change behaviours by gathering data about ourselves. "But there's more to life. We want to help you rediscover the best memories from the past as well as make smarter decisions for the future." Sony is also releasing an application programming interface (API) to allow other apps to share information. The Core is a plastic device containing an accelerometer that is supposed to be worn around the clock. It will provide data about the user's movements, which can then be used to try to work out what they were doing and how many calories were burned. Sony said its algorithms would be able to distinguish between whether the user was on a train, using a bicycle or resting. The device also features LED lights and a vibration motor to alert the owner to notifications sent to their phone. A "life bookmark" button can also be pressed to highlight special moments on the timeline. It will initially be sold with a waterproof wristband. 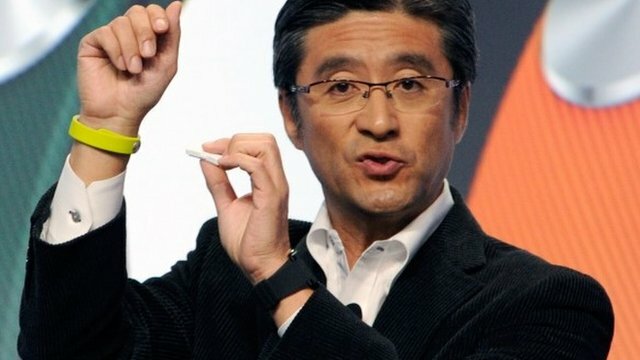 But in time Sony aims to release accessories letting it to be worn around the neck, in shoes or even attached to a tennis racket among other options. The firm added it also envisaged information being gathered from its other products, including Smart TVs and PlayStation 4 games consoles, to build up a more detailed record. Those who sign up to the app will be able to get information telling them how much time they spent carrying out different activities to help inform their choices. "If you have not reached your daily goal perhaps you should take a walk rather than a taxi," Mr Makino gave as an example. This is a similar to the idea behind other wearable activity trackers made by companies including Jawbone, Fitbit and Nike. However, one wearable tech expert attending CES suggested that what was needed were more insights rather than just more information. "The end goal for these companies is to provide actionable advice and not just data logging," said Daniel Matte from the tech consultancy Canalys. "I don't think the average user frankly cares if, for example, they slept eight or nine hours. What they want to know is whether that was adequate and what they can do to sleep better, eat better etc. Creating change should be the primary goal these technologies are striving for. Sony said it might also make use of the data gathered by the app to help it better understand how people used their phones and to spot bugs. However, it said that it would make users' identifies anonymous before carrying out this analysis to protect their privacy.